Business telephony doesn’t have to be as expensive as you already may assume. It also doesn’t have to be as inaccessible as it may seem either. There are tons of options to choose from, but you want to make the most out of your Virtual PBX system. They’re cheaper than On-premise PBX systems, they’re easier to function, and they automatically do the work you would normally need an IT team for. In order to really make sure you understand how they work, we put this guide together. VoIP (Voice over Internet Protocol) technology is used for making communication over the internet possible. VoIP, also known as Internet Telephony, converts voice vibrations to compressed digital signals that translate to data packets. Simply put, you are using the internet to make and receive phone calls, video calls, and texts. We could go on and on about VoIP, but that would require an entire article–for more info check out our VoIP glossary! 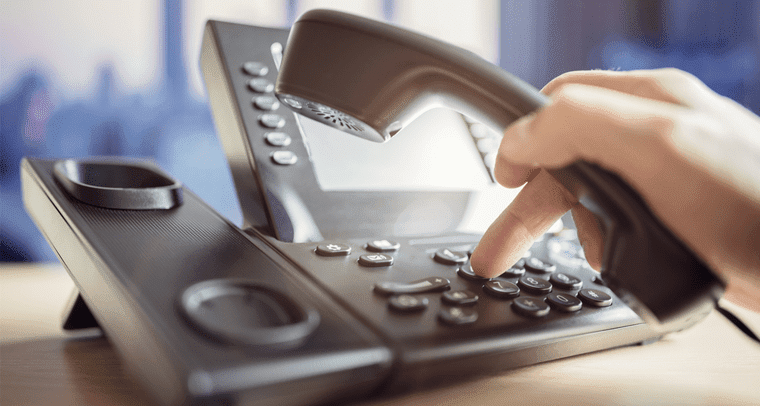 A Virtual PBX is a powerful phone system that utilizes an internet connection as opposed to the standard telephone service. A standard IP PBX is used to transfer calls from the internet (IP) to the public switched telephone network (PSTN). A virtual PBX can be thought of as a more cost-effective version; since there isn’t any hardware involved, it’s all virtual and hosted by the service’s provider. Why Is It so Hard to Find Information on Virtual PBX? If you’re a new business owner, this might be the first time you’ve heard of Virtual PBX. 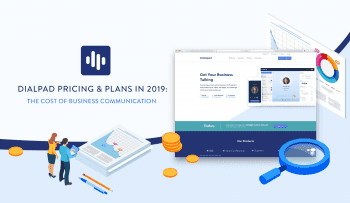 If you’ve been in the game for a while and need to cut costs or are interested in a more user-friendly system, this will provide you with enough information to make a decision based on what fits your company best. You might have noticed after many extensive Google searches that companies are more interested in selling their product and highlighting their signature features rather than providing a general overview of how Virtual PBX systems work. Let’s break down what you need to know about Virtual PBX systems, why they’re important, key features, and reputable providers. NOTE: You’re going to come across many different names for Virtual PBX systems while doing research. Don’t let it confuse you. You’ll see terms like “Cloud PBX” and “Hosted PBX”. All three are talking about the same thing! What you’ll often find us saying is that there’s no set-in-stone, all-around system that will do whatever you want it to, and that you need to choose what’s best for your business. In order to paint the clearest possible picture, we’re going to break down the pros and cons of Virtual and On-premise PBX systems. As you can see, on-premise solutions cater to larger organizations that can afford the hardware and IT staff. But for a small team, a Virtual PBX offers roughly the same features for a fraction of the cost. 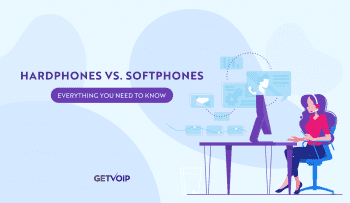 If you’re still unsure, or you want a more in-depth analysis about which PBX system is best for you, here’s an depth look at on-premise PBX vs Hosted VoIP. Now let’s dive a little deeper into the pros of Virtual PBX systems. All of these ultimately come down to cutting costs; however, there are some very interesting integration, automation, and customization features that make Virtual PBX systems worth the investment. Virtual PBX’s do all the work for you, making it simple for any size business to operate with the professional feel of even the biggest players. Virtual PBX’s allow even the least technical literate business manager customize their own phone system. Businesses can easily turn on and off any feature through either an app on their smartphone, or online management portals. Low monthly fees help cut costs significantly by eliminating the need for a large investment on hardware costs, wiring the office, and an IT team. Because Virtual PBX doesn’t require an expensive hardware installation process to add on new phone lines, businesses can update the platform quickly and easily. Here you’ll find some of the many features that Virtual PBX systems provide. Yes, they’re all important, and yes, you want to consider what makes the most sense for your company when choosing a provider. If you’re the type of boss that’s always on the go, you want a system that gives you the option to have voicemails automatically sent to your phone or other mobile devices. Why? If you’re in a meeting with someone, and you’re expecting an important call, you could discreetly check your messages without interrupting anyone. You want your customers/clients to not dread calling you, thinking they’ll be put on hold or constantly get directed to the wrong department. With simple menus, you can direct anyone who calls right where they need to be. What if no one is around to answer the phone? Do you want your customer/client to wait around? You know when you pick up the phone you’ll hear nothing but complaints about the wait time. Auto attendants can direct customers/clients to answering machines or provide them with the necessary information to either call back or tackle specific problems on their own. Call queuing allows users to stay on the line while you’re busy with someone else, rather than having them hang up and call back, potentially forgetting they called in the first place . Call forwarding allows you to direct customers/clients to another number, so if you’re out of the office, you can remain in constant contact. Call recording is pretty self-explanatory. It allows you to record calls and store them as digital files. Combine this with CRM software and you could potentially create more developed customer/client databases. A conference bridge lets a large group of people participate in phone calls. Traditional phone services allow nothing more than three people on a line at any given time. These calls can hold hundreds of people all at once. This is obviously more practical for enormous businesses, but surely being able to speak to more than two people at a time is a luxury for most of us. Costs are typically cheap because the network used by the phone system is already in place. You can expect a smaller initial fee as opposed to an On-premise PBX system, then additional monthly fees. Add-ons are naturally going to bring up the price, but compared to hiring an IT team and hardware costs, you can expect some savings. Even if you’re an established big business and you need to rewire the office to support a VoIP system, costs should remain lower. Some websites say the average cost of an On-premise PBX system is about $1000 per user. This number will go up or down depending on the size of your business. Large ones are more likely to get a deal while smaller ones might pay more. Virtual PBX systems gain the upper hand in the long run. Initial costs can run high depending on the size of your business. If you’re on the large side, you’ll need expensive routers that can smoothly support the system. If you’re on the smaller side, costs will be minimal. When you’re set up, all the hard work is no longer in your hands; it’s transferred over to your internet provider. This means no maintenance fees or hiring a new team. Network reliability is extremely important for a number of reasons. Your Virtual PBX system depends entirely on how well your network runs. If your router can’t handle the workload a Virtual PBX system will put on it, you might not get the most out of the service. If your network crashes, you lose access to your phones. Regardless of size, network reliability should be a top priority. As stated previously, Virtual PBX systems will come with tons of features all related to what you can do with your phones. You should know your business before paying for features you might not need. That will help you avoid these common cloud migration missteps. If you’re a small business, conference calls might not be your thing. If you wake up to tons of voicemails, look into a system that organizes them and makes them easily accessible. Don’t buy a Ferrari for the gas mileage. You want your provider to take pride in their customer support. Many places offer great options, but you want someone who is determined to resolve any problem that arises on the first call—whenever and wherever that may be. One place that jumps out is Nextiva. Their support team is available via phone, email, and chat. On their website, they boast that 95% of their support calls are answered by the second ring with little to no hold time. Look for companies that have all these options. In this case, more is more—not less. Check out these six stories of customer support going above and beyond. 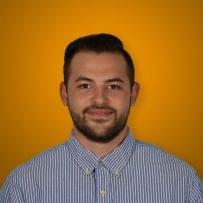 Third-party integrations should also be considered greatly when choosing a provider. If your office runs on Google or Microsoft Office, find a provider that does the same. Here’s an example: VoIP can integrate with CRM solutions. When a support agent answers a phone call, their integrated business VoIP system would automatically pull up the related CRM entry for that caller, so agents don’t have to flip through windows and try to find the right information, wasting time while on the phone. 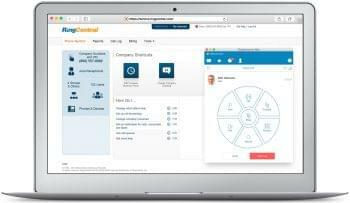 More Information Nextiva RingCentral Vonage Business Mitel 8×8, Inc. If you want to look at more Virtual PBX providers, check out our vendor comparison page. It could be daunting searching for the right Virtual PBX system for your company, or learning about Virtual PBX in general. Google is helpful when you already know what you’re looking for, but if you’re new to the business world, or technologically challenged, the features and services providers boast will mean nothing to you. Use this guide as a platform for continuing your search, talk to providers directly, and keep your options open. Use our QuoteMatch™ tool to find a Hosted PBX Phone system.